A challenging five-day trek, deep into the forest, to spot the BABAKOTO, as the Indri-indri is locally known, or one of the other thirteen species of lemur that live here. You’d better be in good shape, have some walking experience and don’t mind living in primitive circumstances for a few days. But then, unforgettable experiences will fall to you, breathing air never polluted by motor-vehicles, sleeping in a tent in the forest, falling asleep with the sound of rippling water and waking up with the songs of the indri-indri… Maximum number of participants: 3. 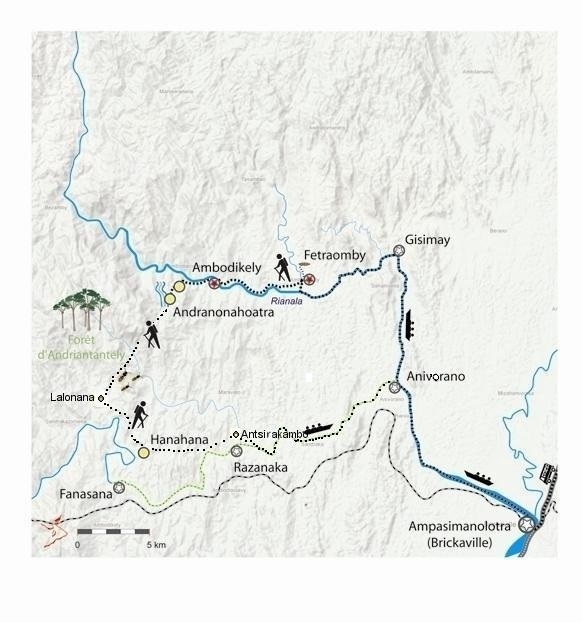 Download our Babakoto Trek brochure.